Disclosure: This post is sponsored by Minwax, but all opinions and pink reveal are my own. 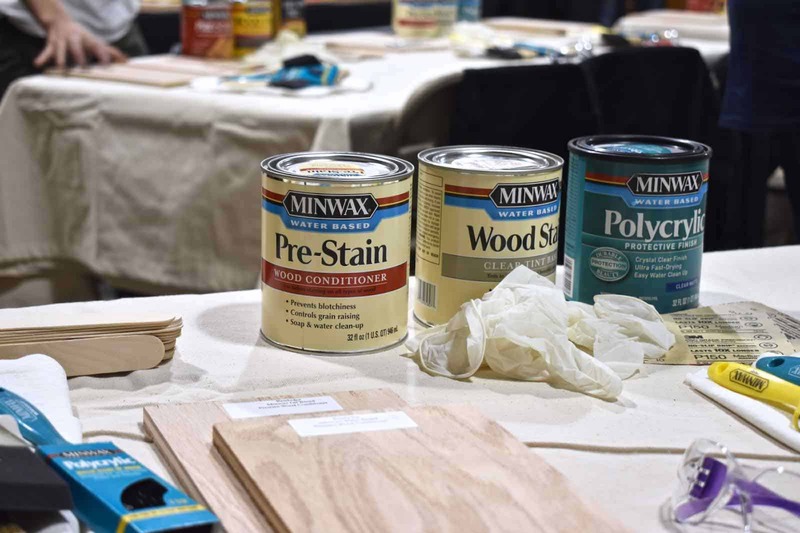 A couple of weeks ago, I attended a fun event at the Philadelphia Restore sponsored by Minwax! Truthfully, I wasn’t sure of the specifics, but when I walked into the room and saw tables with wood and samples and paint brushes, I KNEW it was going to be a great afternoon! The experts at Minwax gave us a crash course in all things wood staining, wood preserving, and furniture finishing. Guess what. This 5 year DIYer was doing all SORTS of things wrong when it came to my staining. 1. I wasn’t pretreating my wood. Which makes for a blotchy stain. No bueno. Use a wood conditioner. 2. I was cleaning my brushes wrong. Alll wrong. When you turn them upside down in the faucet? All that paint just gets shoved down into the nape of the bristles. Also no bueno. Just hold the bristles pointed down, and rinse/ flick until no more paint. 3. No idea about water based and oil based nuances. Oil based stains have a much longer working time, but can smell a lot. Like a lot a lot! 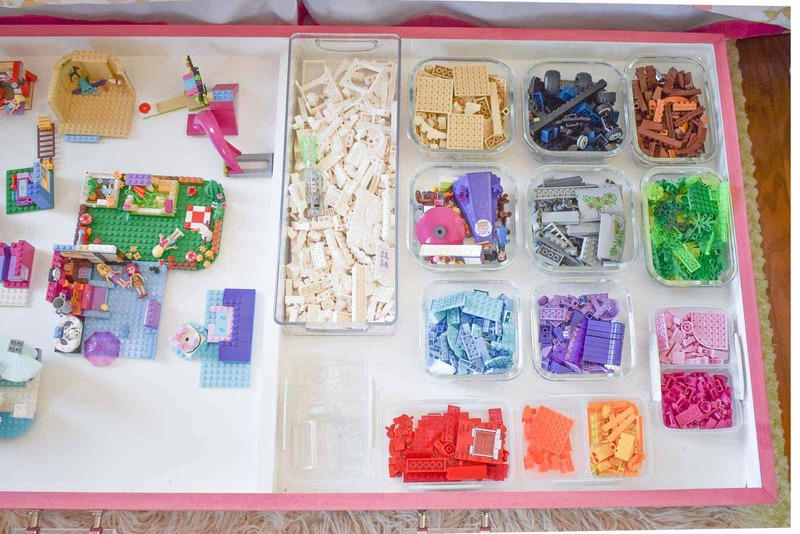 Water based stains will dry much faster which can be tricky, but they also come in amazing colors like, ahem… my pink lego tray! 4. Shaking my cans. Don’t do it, folks. Bubbles are bad. Always stir your stain. 5. Brush type. I typically grab the cheapest brush unless it’s one of my favorite angle brushes. Synthetic bristles should be used with water based paints and natural bristles should be reserved for oil based products… the water can cause natural bristles to swell and change their shape. I could go on, but five major staining mistakes seems like enough. My friend Cristina wrote a great post on all the other tips I forgot to mention here! 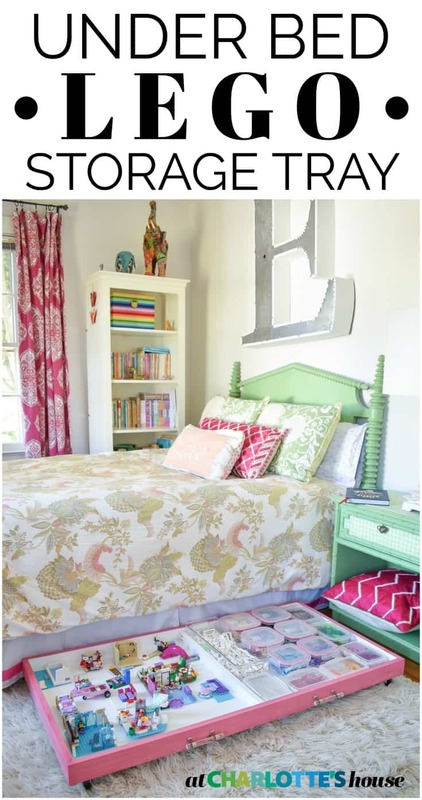 One of the products I fell head over heels in love with was their pink wood stain. PINK! 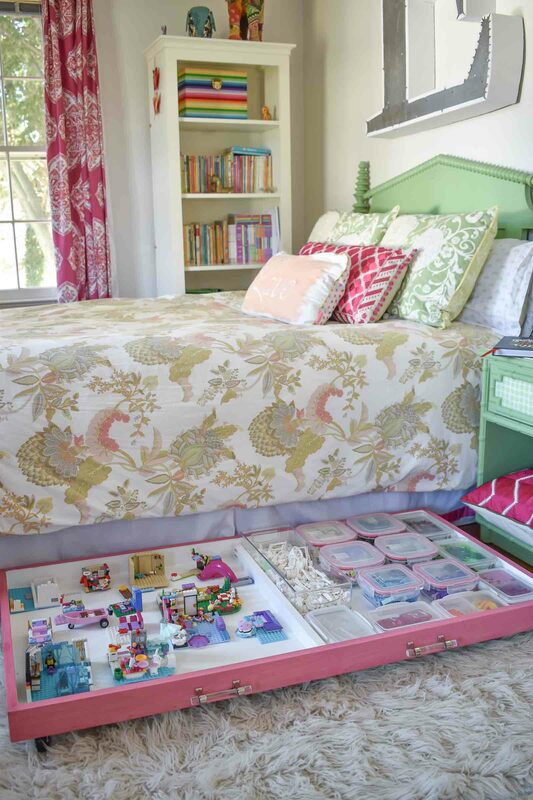 As you know, Eleanor’s room is a plethora of fuchsia and we had a bit of a lego situation going on. 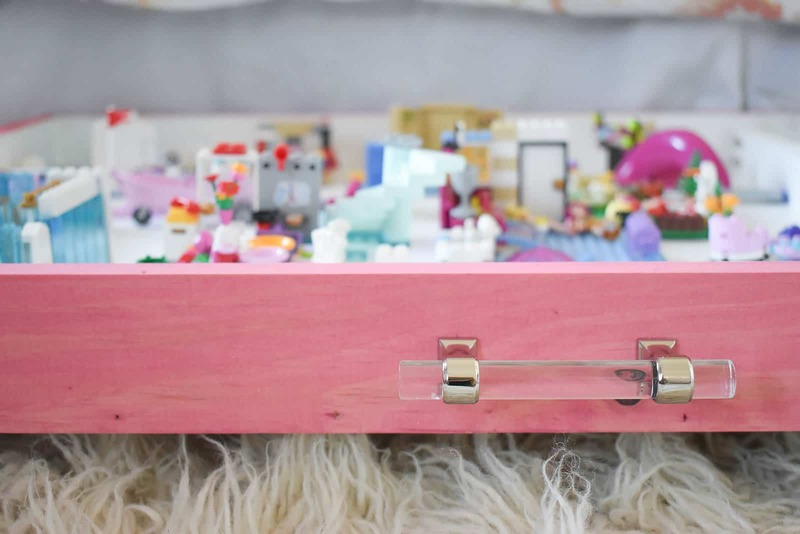 I decided to build her a simple storage bin for her legos and stain it… yep… pink! The tray itself is very simple. I used a 3/4″ 2×4 piece of sanded plywood and framed it out with some mitered 1x3s. 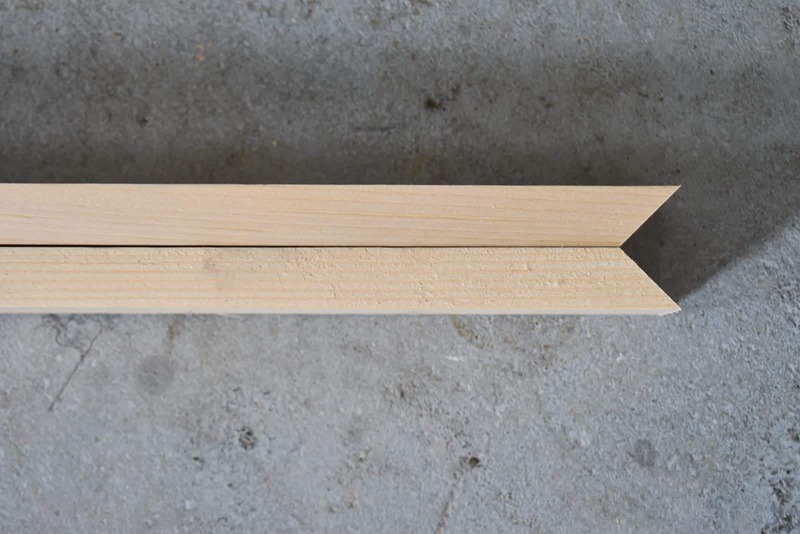 I mitered the corners of the 1x3s and lined them up to the edge of the plywood with wood glue and a brad nailer. 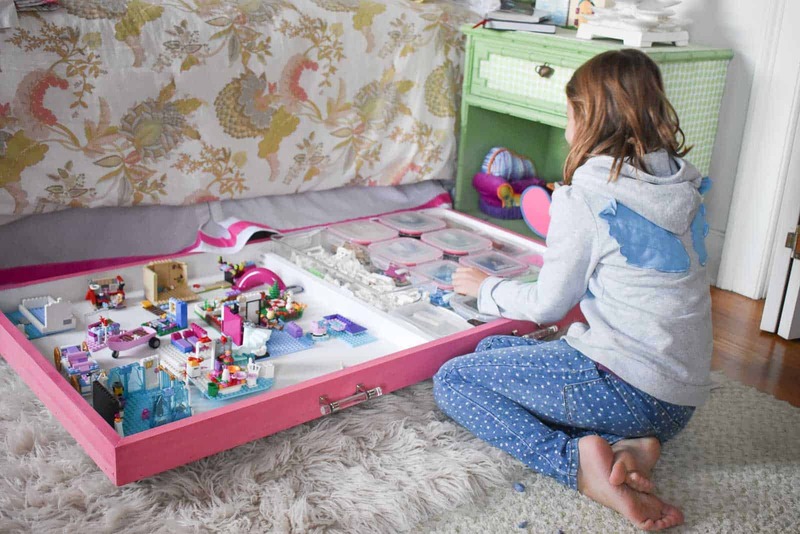 To split the tray into two halves, I glued/ nailed a 1×2 down the middle to act as a partition to help her divide her lego creations from all the lego pieces. I sanded and pretreated the wood to start. 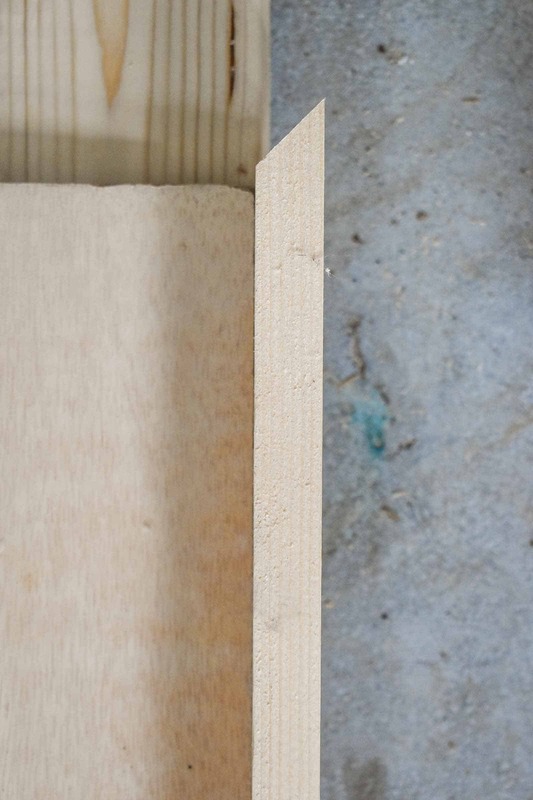 The Minwax pre-stain helps prep the wood so that any stain applied will be a smooth even finish. 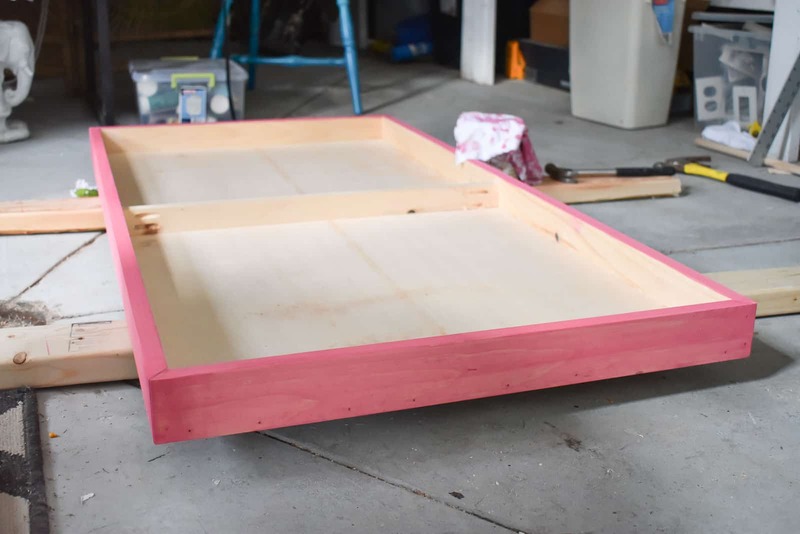 The wood frame of the tray is stained with the water based stain in Perfectly Pink. I brushed on the stain with a synthetic brush, and then wiped off any excess with a cotton rag. To finish, I went over the stain a day later with a flat finish Polycrylic to help preserve the stain. 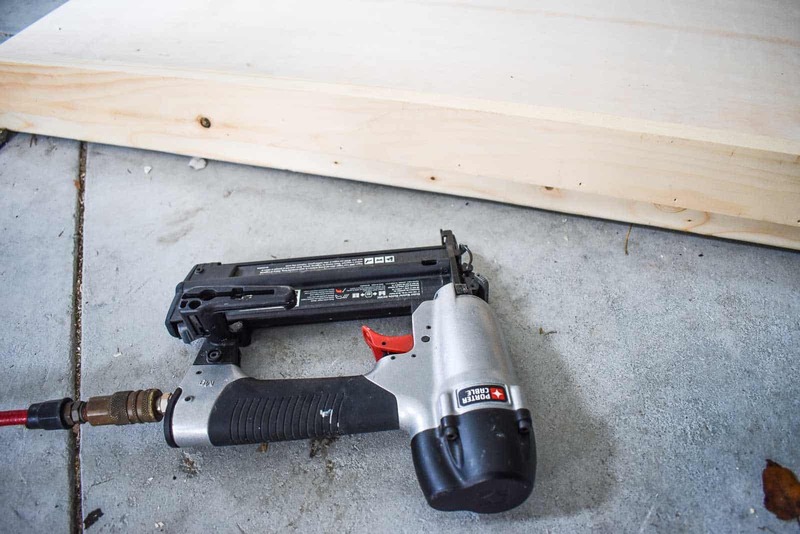 For the inside, I used some leftover white paint to keep the storage area crisp and clean. Casters and 2 lucite handles later… I’m in love. 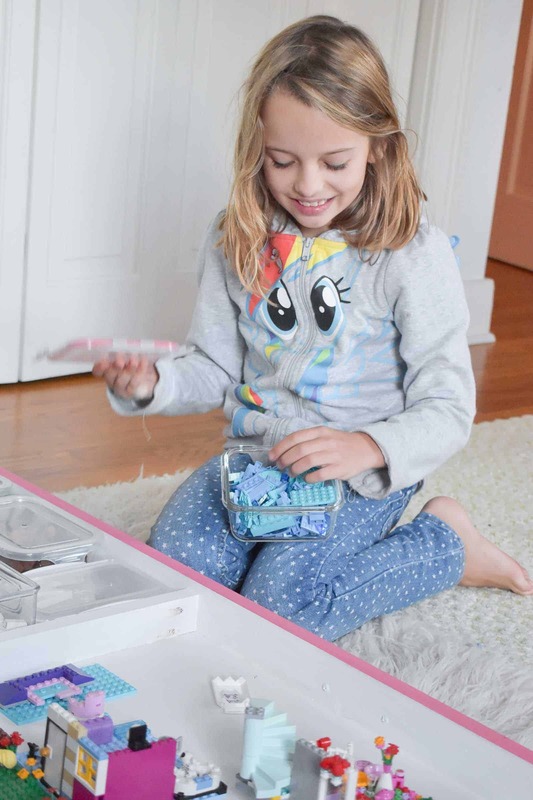 Eleanor is actually VERY organized so I figured I’d give her a head start, and bought her some small plastic containers in which she can sort the various legos. 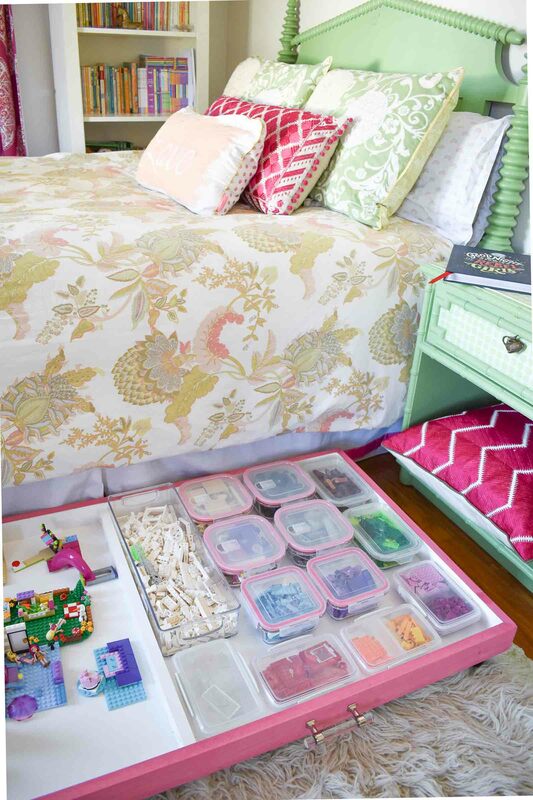 One corner at a time, folks… keeping this house quasi-organized! 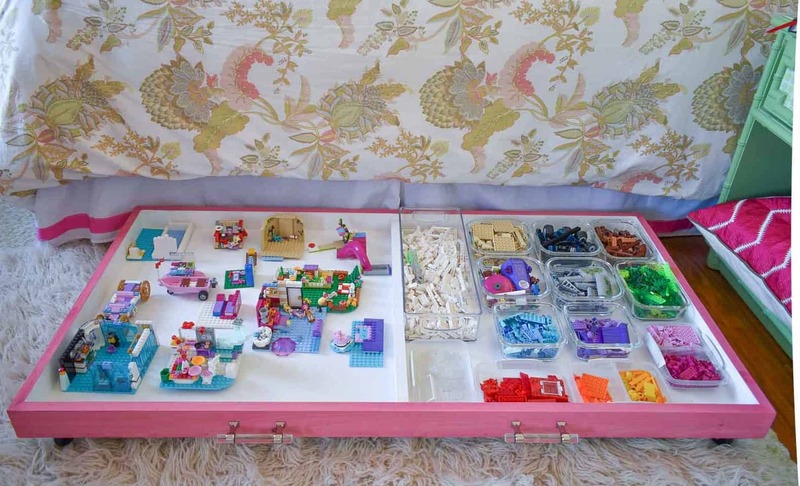 One side of the tray is for the legos she builds and the other is for her spare pieces. 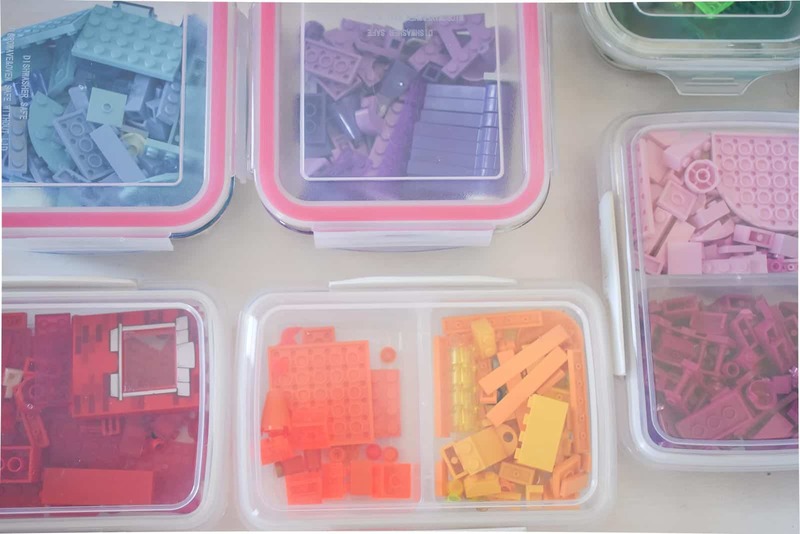 I’m not sure whether it will be easier for her with or without the lids, but I love how pretty all the containers look with their rainbow legos! I was able to use three 1x3s at $3 each. 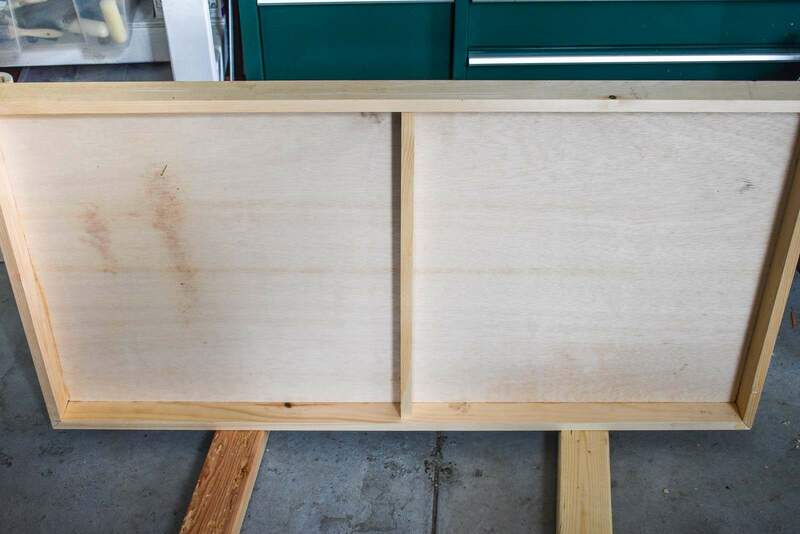 The plywood is about $10. A pack of four casters was maybe $3 and each handle was about $4. I could have used simple grocery store containers, but I went to Marshalls and got these ones that were all about $3 a piece. Doing the math… that brings the whole project to about $50. 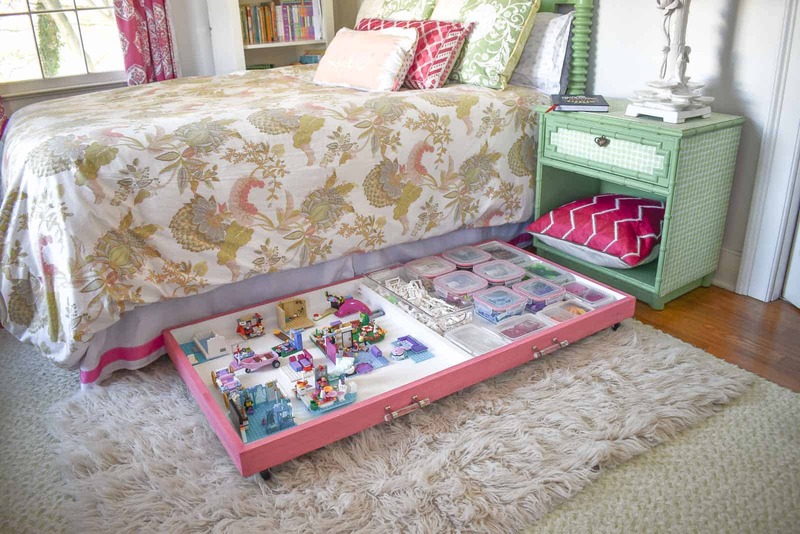 I know that’s not super cheap, but… the alternative is a dresser or a file cabinet and this is just too perfect not to love! 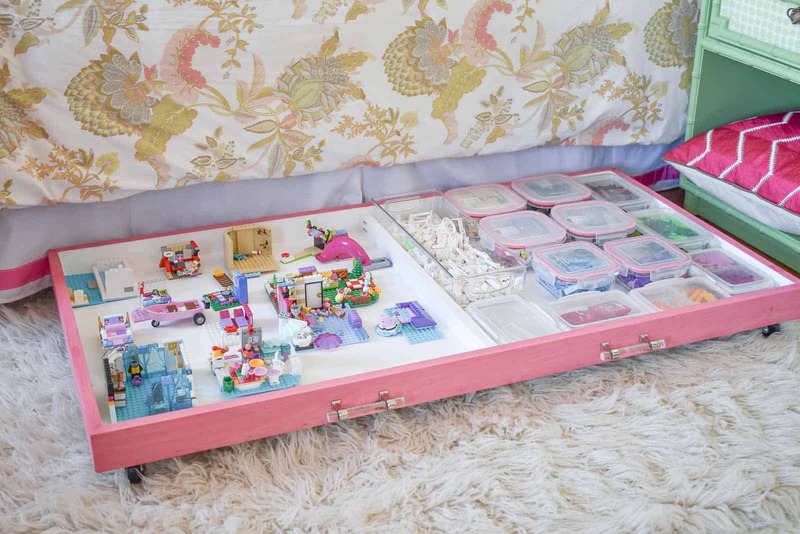 This is awesome and can be used for so many things other than legos. Yes! Such a simple build and you’re totally right… would work for lots of things!